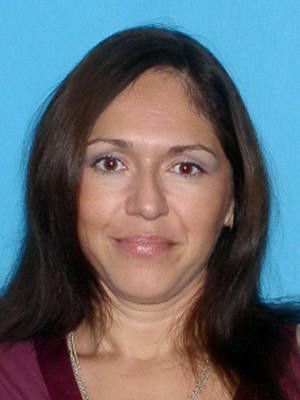 DELTONA, Florida -- The Volusia County Sheriff's Office is seeking the public's help in locating a 38-year-old Deltona woman who was reported missing early Sunday morning. Guenevere Lord was last seen by her husband early Saturday morning. But it's unclear when she actually left her home at 1922 Dupont Court in Deland, Florida. Several friends and relatives received text messages from Lord early Sunday morning indicating that she was depressed and in despair over personal issues. She is believed to have a pistol with her. Patrol deputies and investigators have been searching for the victim and Air One has flown the area trying to spot her vehicle from the air. Deputies also have checked area parks, hospitals and business parking lots during their search, but haven't found any sign of the woman. Lord, who takes medicine for a medical condition, is 5'4" and weighs about 150 pounds and has brown hair, brown eyes and a medium complexion. She's known to frequent the Lake Helen and Cassadaga areas and was believed to be in the Deltona area as recently as 3 a.m. on Sunday. Lord is driving a silver 2002 Mazda Millenia with a Florida tag, U934AM. Anyone who spots Lord or her car is asked to call the Sheriff's Office at (386) 736-5999.